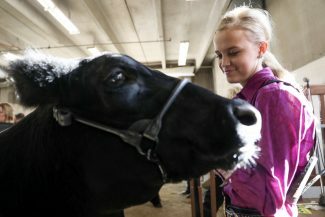 Tyka Scott of Burlington looks at one of the three judges during the Markert Steer Show at the National Western Stock Show on Thursday in Denver. 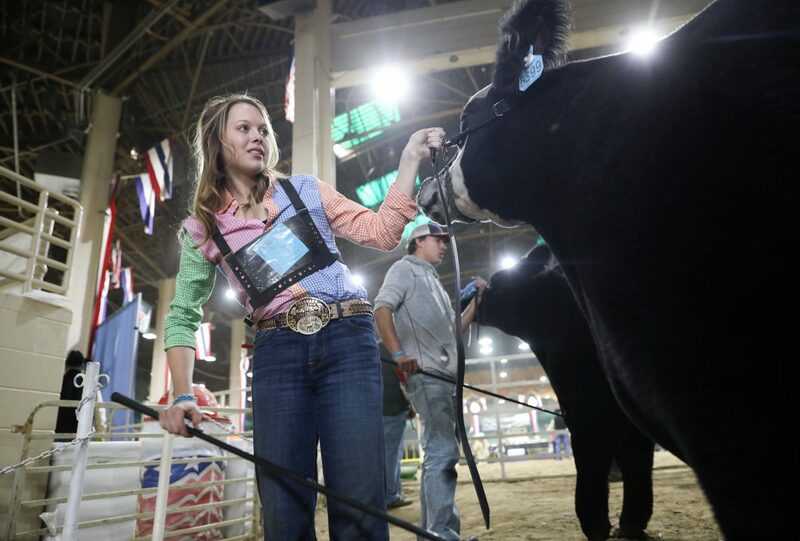 Alissa Boersen during the Markert Steer Show at the National Western Stock Show on Thursday in Denver. 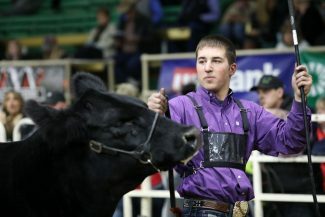 Kaden Wilson of Creston grooms his steer Thursday at the National Western Stock Show in Denver. Mikala Grady of Grandview shows during the National Western Stock Show on Thursday. 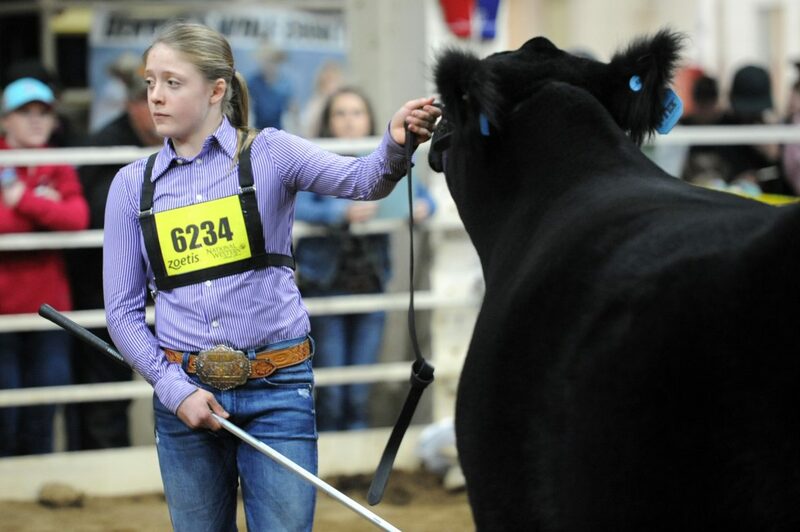 Lillie Skiles during the Markert Steer Show at the National Western Stock Show on Thursday in Denver. 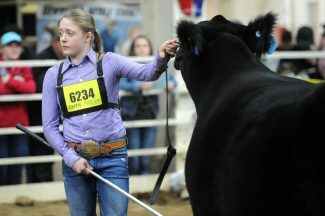 Julia Frye, 15, of Johnstown said Thursday she loves showing and being a part of the National Western Stock Show in Denver. 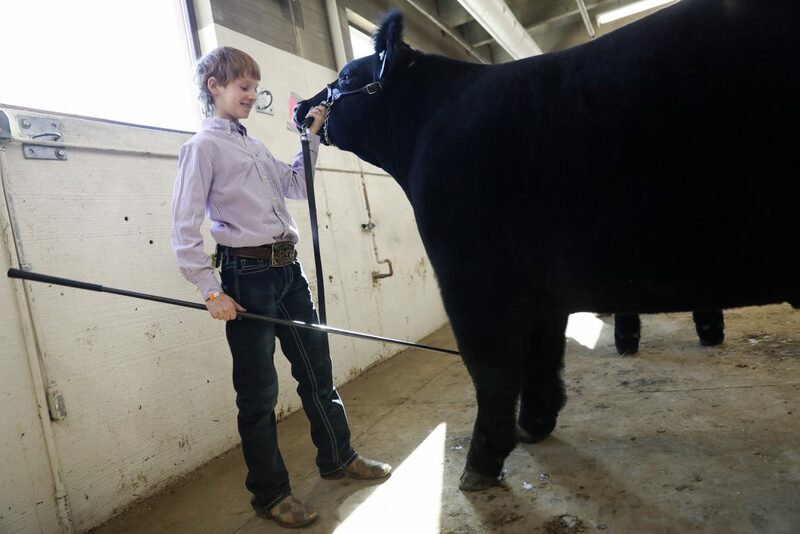 Trey Huwa, 12, of Roggen gets ready before his showing at the Junior Market Steer Show on Thursday at the National Western Stock Show in Denver. 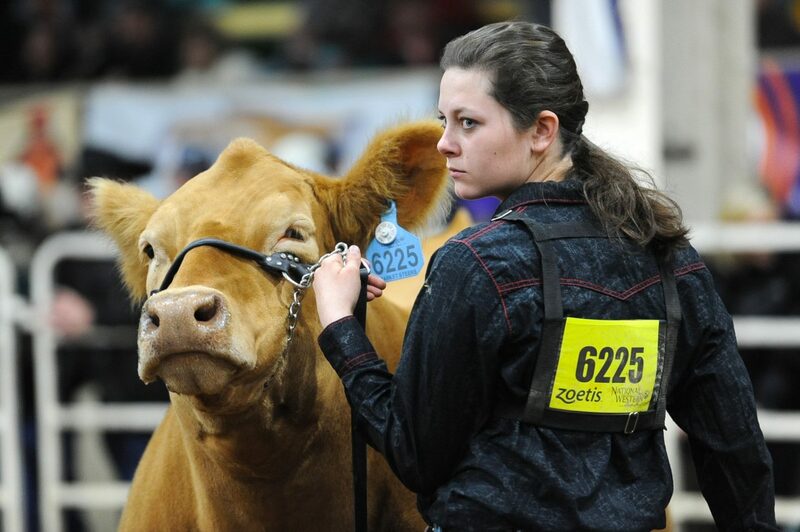 Alyssa DePorter of Eaton waits to show her steer Thursday at the National Western Stock Show. 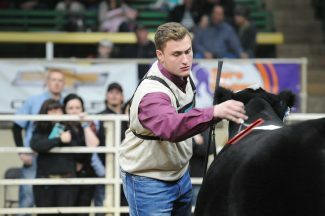 Cody Huwa of Roggen looks at one of the three judges during the Junior Market Steer Show on Thursday at the National Western Stock Show in Denver. 1	Addie Potts of Wichita Falls, Texas	Abby Bell of Bristow, Okla.
2	Tristan Himes of Sterling City, Texas	Jami Hoblyn of York, Neb. 3	Ansley Maronde of York , Neb. Triniti Scott of Burlington. 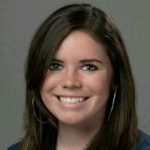 Colo.
5	Landri Chaplin of Weatherford, Okla.	Kassidy Bremer of Fullerton, Neb. 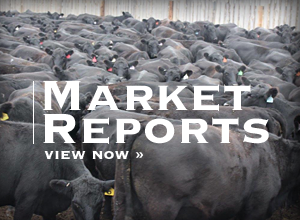 7	Seth Tucker of Lindsay, Okla.	Ema Richardson of Yuma, Colo.
8	Keaton Otto of Manning, Iowa	Addisyn Albers of Wisner, Neb. 9	Kaden Wilson of Creston, Iowa	Jacob Pfannebecker of La Salle, Colo.
10	Allee Maronde of York, Neb. 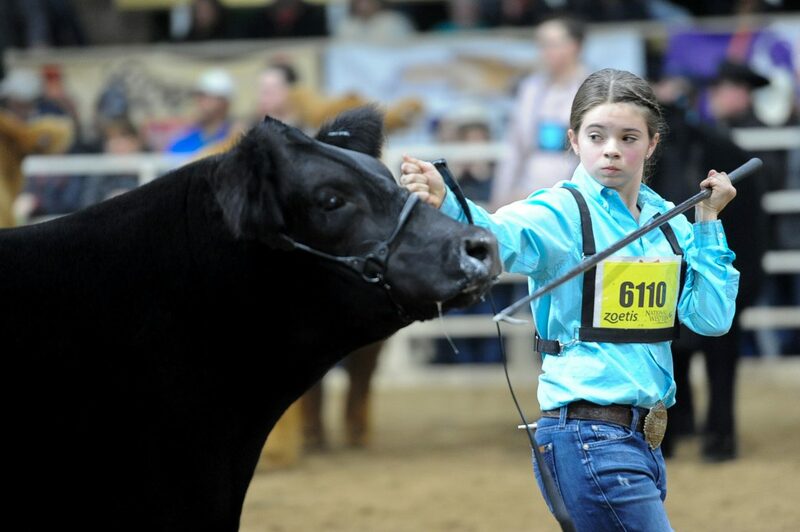 Charlee Jo Teague of Fort Morgan, Colo. 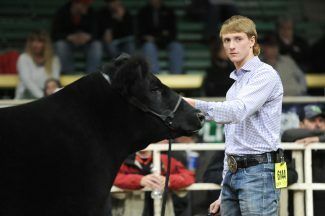 It was easy to tell the sixth class of the market steer show at the National Western Stock Show was a competitive one. It took nearly 45 minutes before the judges picked the top two steers of the class. "This is the best class of steers from top to bottom," one of the judges said. After he was finished, he pointed two fingers to Mikala Grady, and then one finger to Lillie Skiles to designate them reserve champion and grand champion, respectively. 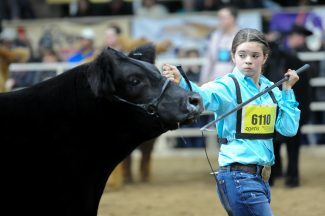 For Skiles, National Western is just one of many shows she competes in — with the Fort Worth Stock Show being the largest. "I'm constantly showing," she said. This is the third year she showed at National Western, but by far the best she's done. The steers are always the most competitive of the junior livestock events, as grand champion is guaranteed a lot of money — last year's winning steer sold for $117,000. But even so, a lot of those who showed Jan. 19 wanted to see how they did. Austin Bernhardt from Lamar, Neb., has shown at National Western in the past, but mostly stuck to prospects. "It's my first time showing a fat steer here, I'm going to miss him," Bernhardt said of Dunker, the steer she showed. 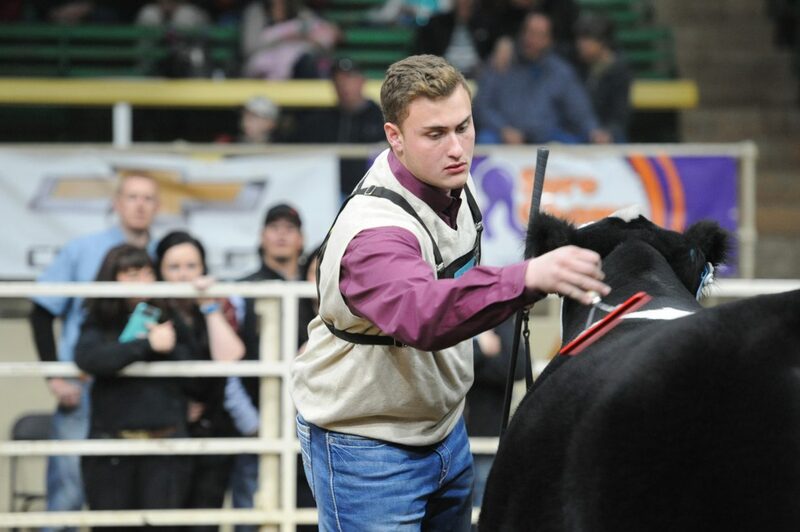 Of the 11 exhibitors and steers in the class, two remained separate from the rest. After a second of pause, one of the judges pointed at Jacob Pfannebecker with two fingers — he was just named reserve champion in his class. 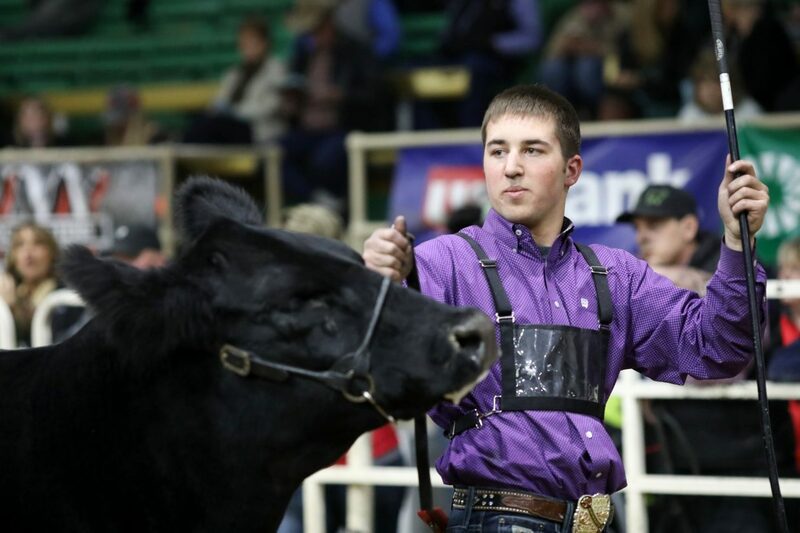 The 16-year-old from LaSalle has come close to reserve at the National Western Stock Show before — he took third the past two years. But Thursday he finally made sale. "It's exciting because I've been short the last two years," he said. To make reserve in his class, Pfannebeck qualified to sell his steer at the Junior Livestock Auction tonight for the first time. That's the goal of anyone showing at the stock show, or any market show, for that matter. But with steers at National Western and kids from across the country competing it's even harder than at the Weld or Colorado State fairs. That's why some compete at National Western, but for others like Julia Frye, 15, of Johnstown, Colo., it's for the joy of being in the arena with her cattle. 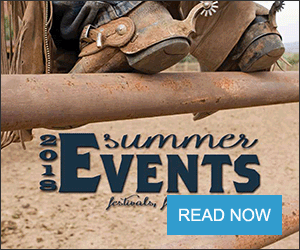 "I love (National Western), I always have fun. 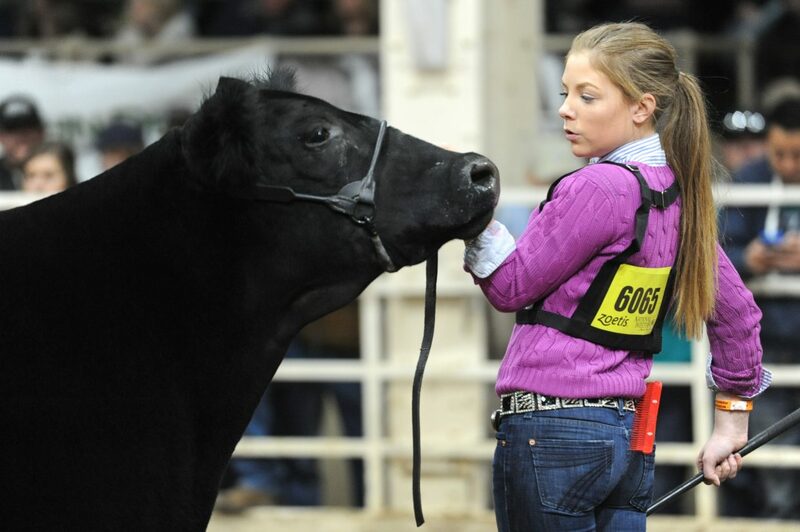 I love cattle," she said before her class was in the arena. Frye didn't place with her steer, Terminator Khalifa — as in Wiz, the rapper — but she said she knows how tough competition is. With the competition, though, come memories and the experience of competing in the largest show in Colorado. Alyssa DePorter, 18, had the grand champion steer in the Weld County Fair this past summer, and even with the high-level of competition at the fair, she didn't take top in her class. But her feelings Thursday were less about how she did and more about this being her final time showing at National Western. "It's my last year, so it's bittersweet," she said. Part of that comes from the people she's been showing with the past 10 years. But if it's 10 years, like DePorter has, or just two, like Trey Huwa, 12, of Roggen, Colo., the people help make the experience. "I like seeing everyone and my friends," Huwa said. 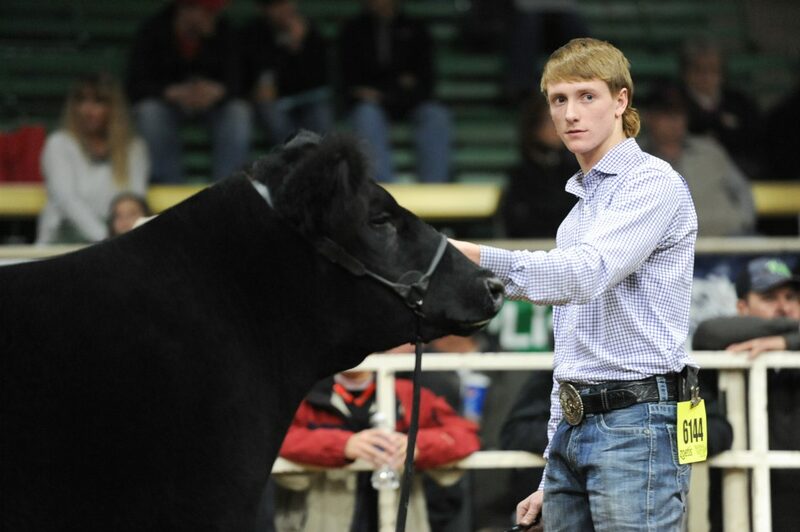 This was his second year showing at National Western in the steer show. The people also contribute to what Pfannebeck enjoys about the show. Between him, his brother and two sisters, showing cattle is the main activity the whole family enjoys. But after Thursday, Pfannebeck has major bragging rights. He didn't start working with his steer until June.